Today would have been the 79th wedding anniversary of my maternal grandparents, Ruth Cole and Vernon Wertz. They were married on April 4, 1931 in Washington, D.C. with only one other couple present (“to stand up for them” as Grammy would say) in a church filled with Easter lilies in preparation for the next day’s Easter service. Grammy told me this story on a few occasions: She and my granddad were both from Nebraska. He actually courted her sister for a brief time before moving to Washington, D.C. to take a position with the government (it was the Depression and jobs were scarce, so he went where there were some). He and Grammy began corresponding by mail. I suppose it was a form of “dating” as she eventually agreed to marry him. She took the train from Nebraska to D.C., traveling for several days before arriving at what would become her home for the rest of her life. Granddad had found a church for them to be married in and talked a couple he hardly knew into being their witnesses. Grammy would always tell the next part of the story with tears of delight: she was thrilled to find the church beautifully decorated with lilies and other flowers for the coming Easter service, but she secretly felt as if it was decorated just for her wedding. 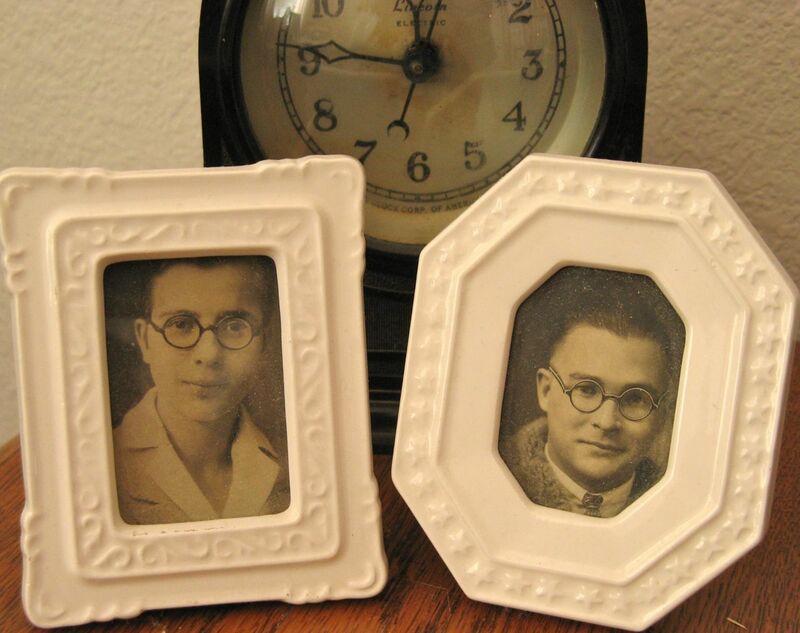 So, today, on their 79th anniversary, I celebrate them for all the ways they contributed to who I am: jewelry-maker, gardener, girl scout, bird-watcher, artist, poor cook, traveler, flea market scavenger, collector of far too much stuff, and lover of life. 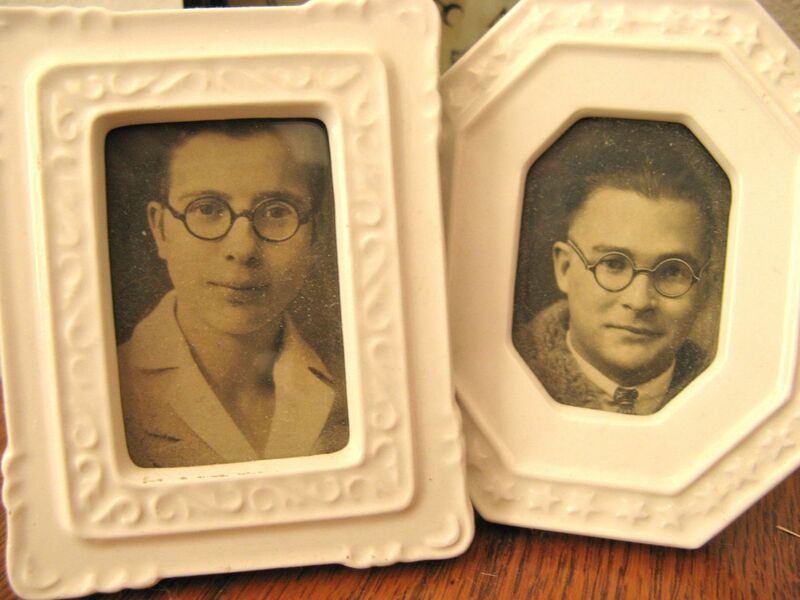 Thank you, Ruth and Vernon, for being my grandparents. Happy Anniversary. I know how much your grandmother meant to you, and it was nice to hear a little bit more about her. Thanks for sharing the photos too. I can see where your eyes come from! I actually see a lot of you in your grandmother’s face. Hope you had a wonderful Easter and that your garden is coming along. Hope that bunny rabbit that had sneaked in during my visit has survived the winter and has fattened up enough that he can no longer squeeze through the fence. What a beautiful tribute! I see your Grammy in you! I love ALL the Adjectives with which you describe yourself. And there are many more. What a beautiful way to honor your grandparents! It made me a little teary remembering my own dear grandma.